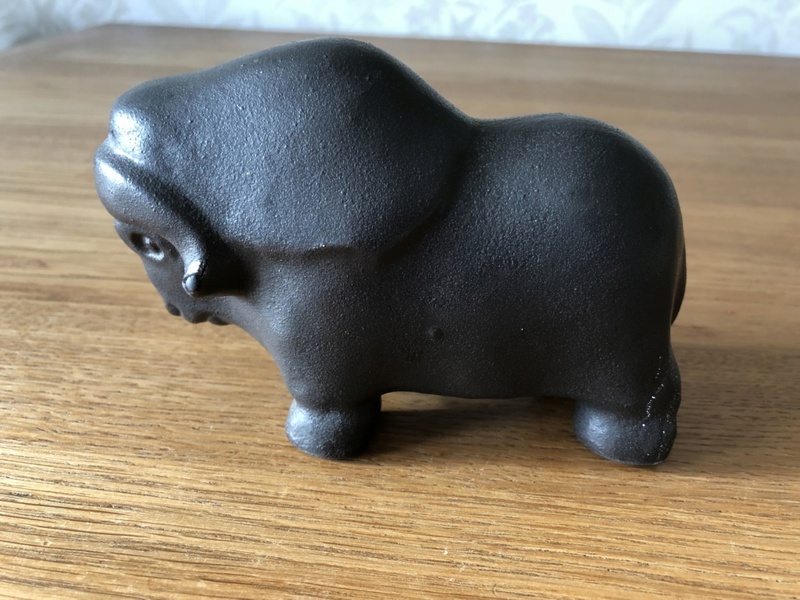 I acquired this musk ox but can’t find out about it. It looks as if it is metal, but is pottery. It has Island underneath. 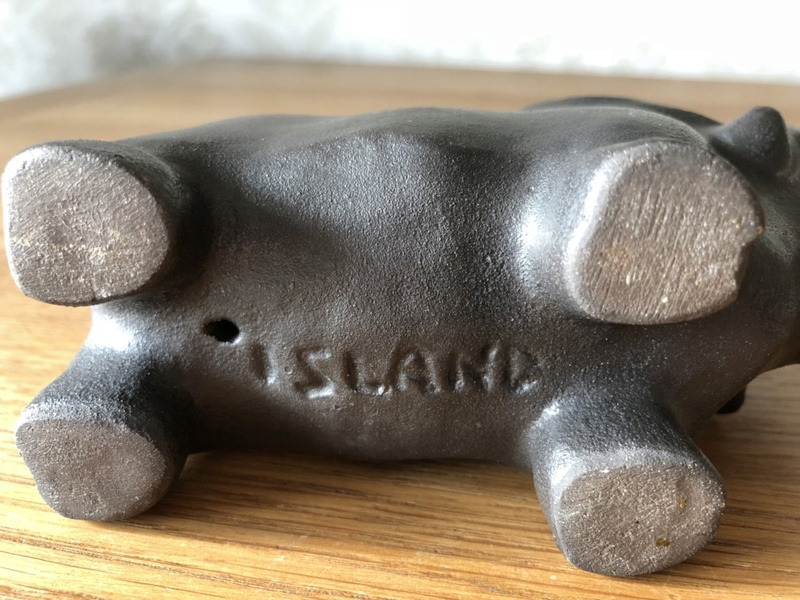 Someone suggested it’s from Iceland, but still can’t find any info. Any help gratefully received thanks. I would agree it's from Iceland. Oh, thank you! I have tried looking for potteries in Iceland that may make these, but couldn’t find anything. Any clue as to where to start? Many thanks, I shall look into this! I thought it was a buffalo or bison but was told it was a musk ox!! Didn’t realise there were so many similar beasts! What others have you seen? Am having problems finding maker! Yes, I’m finding that  Thanks! Interestingly it says they were introduced to Iceland in the 1930s, but did not survive. Just an update. I sold this musk ox to someone in Iceland. 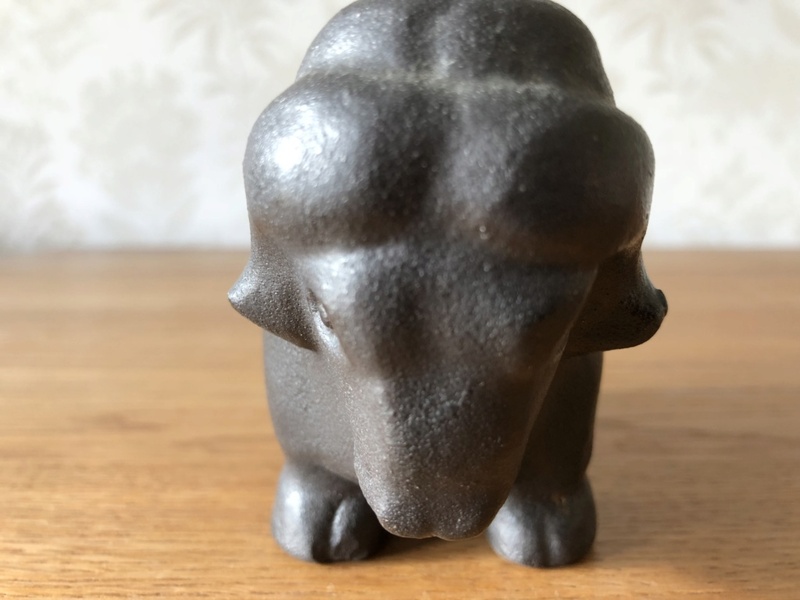 I had it confirmed by her that it was a musk ox and that it was by Glit Pottery & it was a very rare piece. She has only seen one before, but she didn’t say when!